There are many positive things one can say about adaptations of spy novelist John Le Carre's books, but the best may be that they aren't Jason Bourne, James Bond, and definitely not Kingsman: The Secret Service. 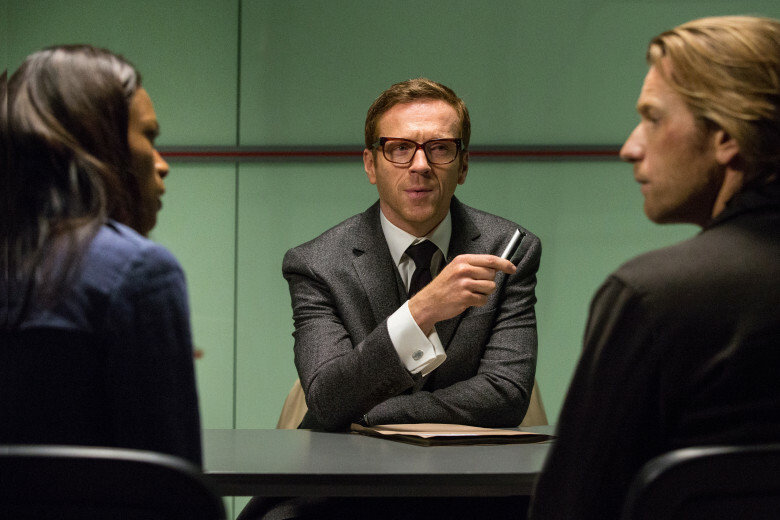 Whether it's Tinker Tailor Soldier Spy, The Constant Gardener, or A Most Wanted Man, they always emphasize political maneuverings and international intrigue over explosions, gadgets, and gunfights. 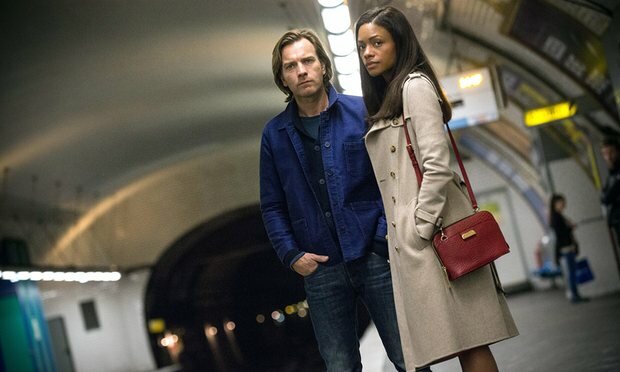 With the right story that works out perfectly fine, but with the wrong one the lack of visual sizzle or believable characters can be a drag, which is where Our Kind of Traitor unfortunately falls. 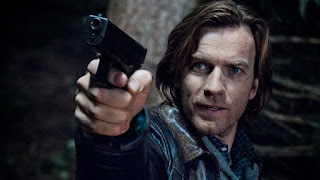 It's not that Ewan McGregor, Naomie Harris, and Stellan Skarsgard aren't good in their roles; they're perfectly fine. It's just that we don't believe any of what they're going through or the decisions they make, and that is largely due to a plot by Le Carre that doesn't really convince us that international banking is very exciting. Perry (McGregor) is a university professor on vacation in Morocco with his lawyer wife, Gail (Harris). 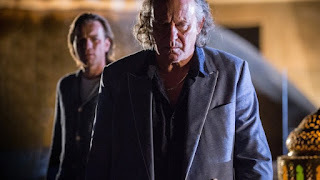 The trip seems to be a bust, burdened by recent tensions in their marriage, but then Perry is approached by an outgoing, boisterous man named Dima (Skarsgard), who promptly invites him out to a party. Perry agrees, and ends up at a swanky shin-dig with drugs, babes...oh, and Russian mobsters galore. Turns out Dima is the top money launderer for the Russian mob, and he's got a proposition. Fearing he will be killed by the mob's new boss, wants Perry to deliver a memory stick full of secret account information to MI6 when he returns to London. It's established early on that Perry, whose last name just happens to be "Makepeace", is a generally good guy who sees himself as the hero. He tries to help a girl from being raped by some Russian brutes and a swift punch in the nose for it. But he's also committed an act of unfaithfulness against his wife, and perhaps by helping Dima he will get a little bit of redemption? It's a ridiculous leap, and yet that is what we are expected to believe as Perry, with Gail literally in tow most of the movie, makes one absurd decision after another. Quickly they are in over their heads and dragged into a messy bog of political corruption that stretches to the highest levels of government in multiple countries. 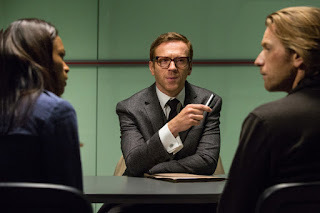 Even the MI6 agent in charge (Damian Lewis, as underused as Harris) has his own agenda and is more than willing to put two commoners in the middle of a dangerous gambit. Directed by Susanna White (Nanny McPhee) and shot by Anthony Dod Mantle (Slumdog Millionaire), the film makes the most of its globe-hopping treks to London, the French Alps, Marrakesh, and more. White doesn't get a lot of action scenes to play around with, though, but does stage an incredibly tense, siege-like finale. Unfortunately the rest of the movie consists of bureaucrats and mobsters talking about money exchanges. Skyfall this isn't. And to that effect it's extremely disappointing that the talents of Harris and Lewis, one a Bond staple and the latter a rumored contender for the 007 role, get so little to do in this setting. On the flip side, McGregor makes for a decently average everyman, but Perry is a bland, shapeless hero whose motivations don't compute on any understandable level. Le Carre is still a master of the genre, but Our Kind of Traitor proves even he can lose track of what true intrigue looks and feels like.